Reschs used to be a mainstay in NSW. Whether it was on tap or in iconic silver tinnies, Reschs was our state drink. Like KB and apparently DA, Fosters keep making it for nostalgic reasons. 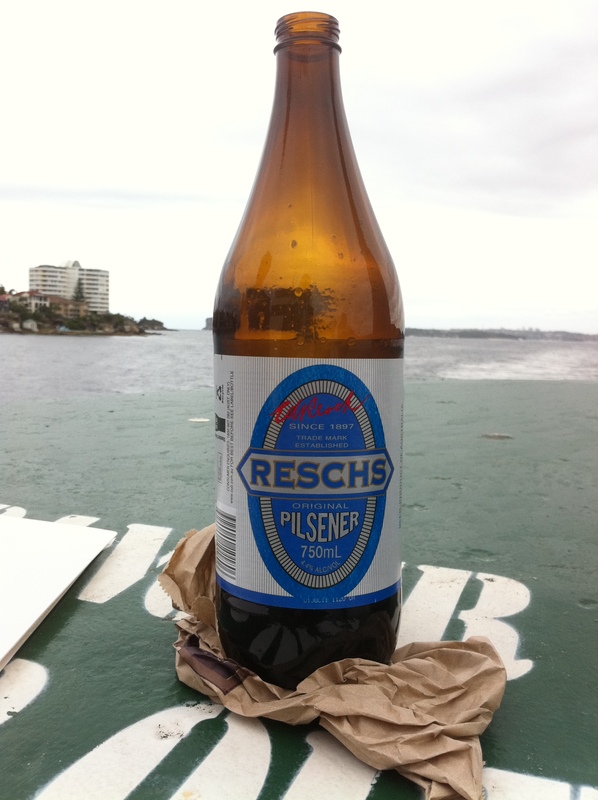 Reschs is more widely available than KB or DA, particularly as it is available on tap in many NSW pubs. That’s good because a kick can still be had saying “Schooner of Wreckers, thanks”. I worked in a pub in the 80’s when you could top up a keg with slops from a beer that hadn’t had blue dye put in it. Reschs was the favoured recipient because it’s copper colour absorbed the varied beers more easily. Hopefully that doesn’t happen with the new kegs. It is still a good drop – not as aggressive as some of the craft beers around now – but when the Circular Quay bottlo doesn’t stock a vast range of boutiques, this’ll do. We were flummoxed. All we could think of was the Manly Daily, but she was adamant – “Must be website – that is best”. We apologised that we weren’t be able to be more helpful and wished her well in her endeavours. There’s a first time for everything on BotF.